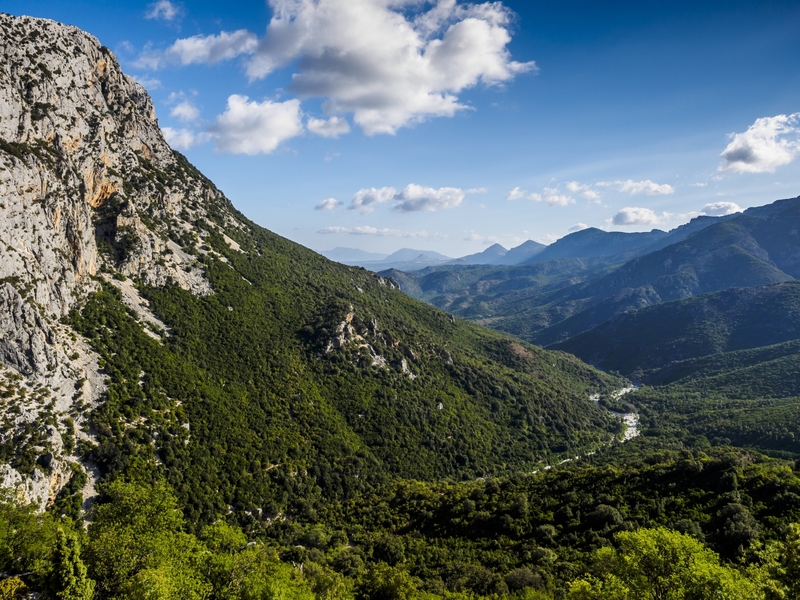 The plateaus, the gorges and the sheer rock faces disappear on the horizon, so far away that they look like a separate continent, a land that will captivate you and allow you to discover the green heart of the Nuoro area, the heart of Sardinia. Its extension, of over 35 thousand hectares, gradually becomes invisible to the naked eye and is large enough to contain the territories of five villages, Baunei, Dorgali, Oliena, Orgosolo and Urzulei, and part of the Gulf of Orosei. Supramonte is a mountain range featuring plateaus and sinkholes. The landscape has distinctive features identical to each other: huge bastions, deep canyons and rocky peaks towering up towards the sky. However, each municipality has its ‘own’ Supramonte, with original and unique natural monuments. 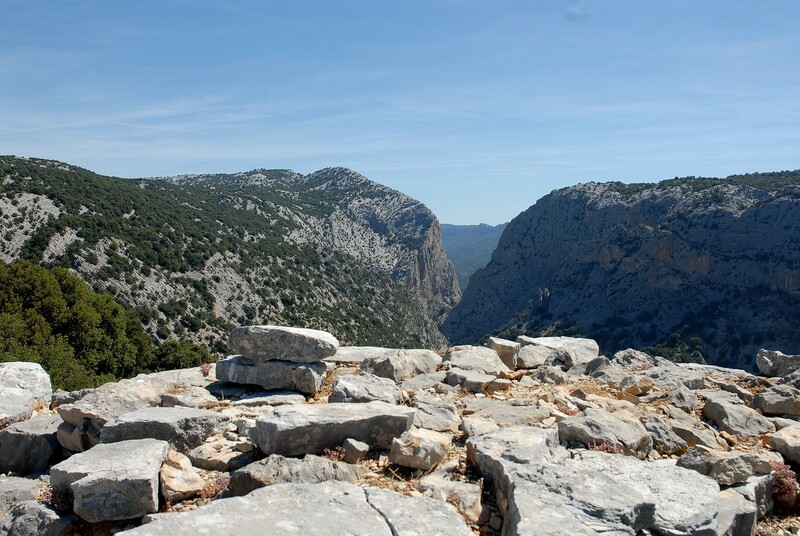 The Nuragic village of Tiscali enriches the territory of Dorgali and Oliena. The Grotta del Bue Marino is the undisputed symbol of Dorgali; the gorge of Su Gorroppu identifies Baunei and also Dorgali. In the Supramonte di Oliena area, above the valley of Lanaittu, the cave of Corbeddu is well worth a visit. Its name comes from the bandit who took shelter here in the 20th century and it is well-known for being the place in which the remains of a deer, already extinct in the Sardinian Pleistocene era, was discovered, from which the humans are presumed to have been present on the massif 18,500 years ago. Then there is Urzulei, characterized by lush vegetation and the cave of Palu. 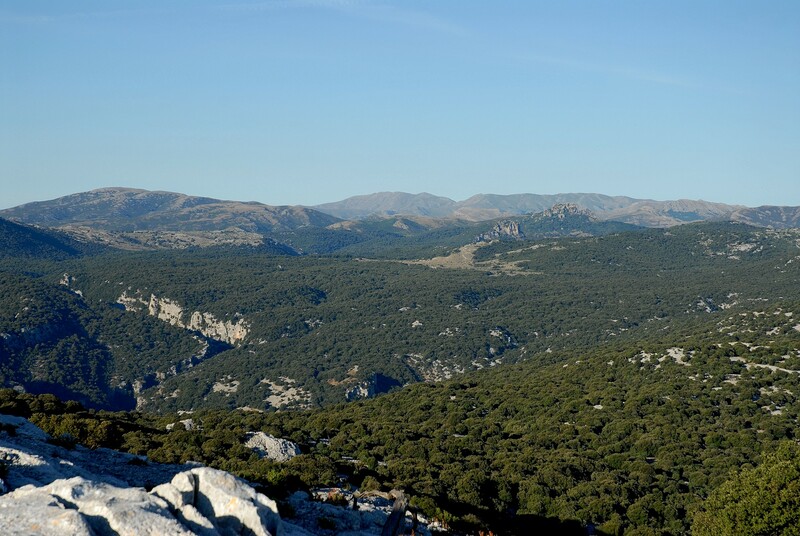 The sinkhole of Su Suercone, a limestone chasm 500 metres wide and 200 metres deep, and the unspoilt forest of Sas Baddes, the only extensive primary Holm Oak forest in Europe, are the distinctive features of the Supramonte area of Orgosolo. 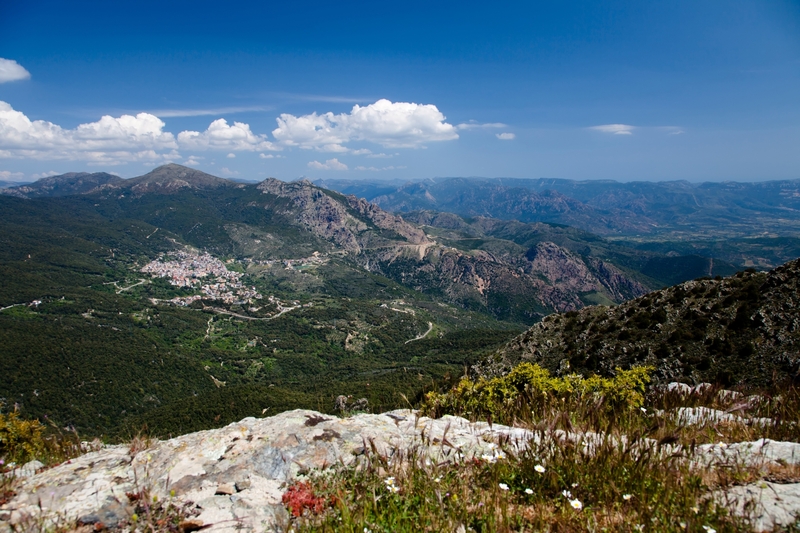 Also in Oliena, you will remain speechless at the sight of Mount Corrasi, the highest peak in the mountain range (1463 metres), featuring a barren, rocky environment with chasms, aiguilles and unusually-shaped pinnacles, covered by 650 botanical species, most of which are exclusive to the limestones of central Sardinia and some of which exist only in the Corrasi area. It is also home to the Nurra de sas Palumbas, a cave famous for its wildlife. 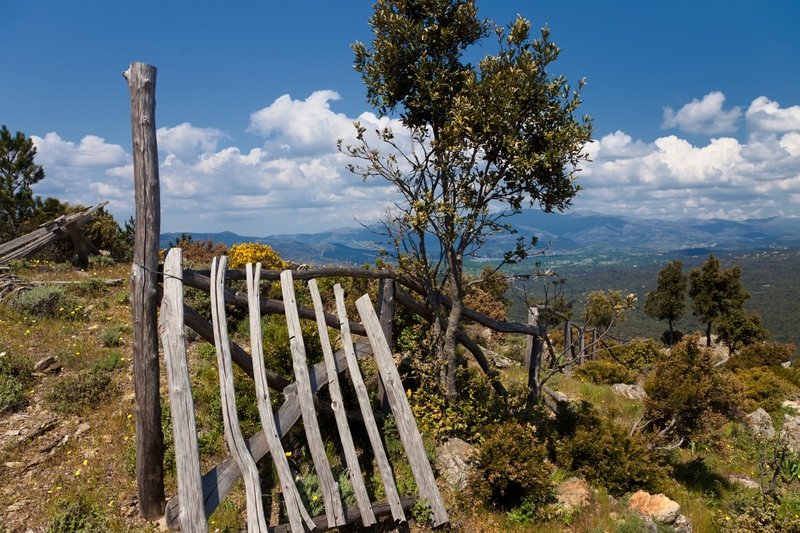 In Sardinia, you will also be surprised by the inland areas, where ancient mountains appear, wild and shaped by the weather, with a thousand different faces and access roads that often open up directly onto the sea. To reach Oliena, Orgosolo, Urzulei, Dorgali and Baunei, it is necessary go along the SS 131 bis and follow the signposts from Nuoro.